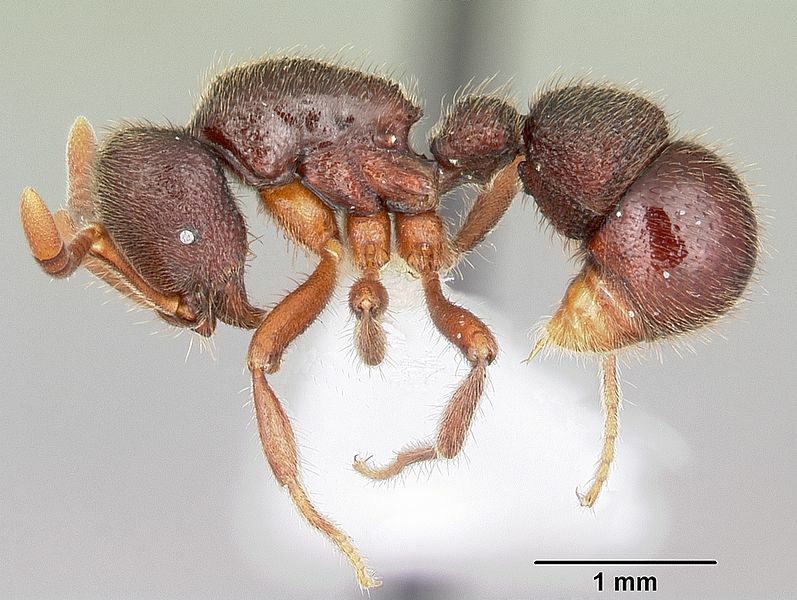 Brian L. Fisher, Associate Curator of Entomology, California Academy of Sciences has named this ant after google. Mr. Fisher was so impressed with the help google gave him in setting up a “bio-map” of ants around the world using google earth that he named an ant after them! Dr. Fisher is also the executive director of the Madagascar Biodiversity Center, a project of the Bibikely Biodiversity Institute, which focuses on the systematics and preservation of species endemic to Madagascar. He said,"We tried to get NASA’s help to develop such a system for years with their mapping expertise and data, but Google Earth answered the call first. I am so impressed with Google that I have named an ant I recently discovered in Madagascar Proceratium google." 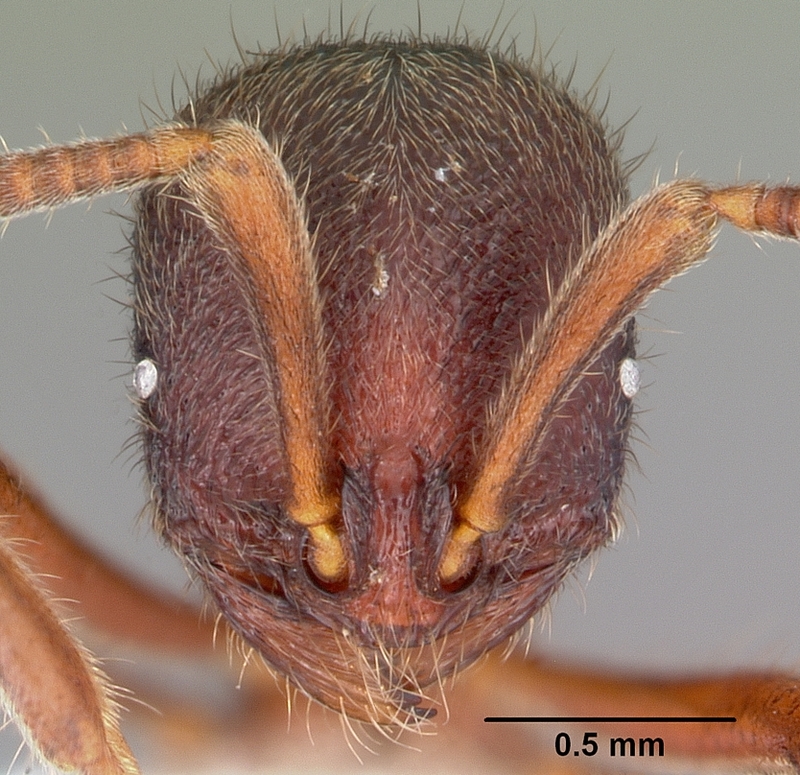 Proceratium google is a bizarrely-shaped abdomen is an adaptation for hunting down obscure prey such as spider eggs. 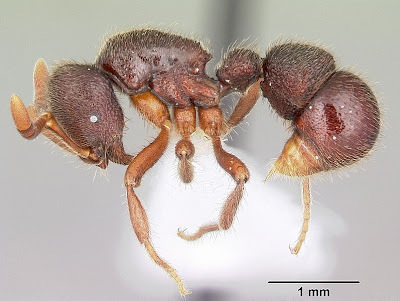 It's mostly found in the rainforest of Madagascar. 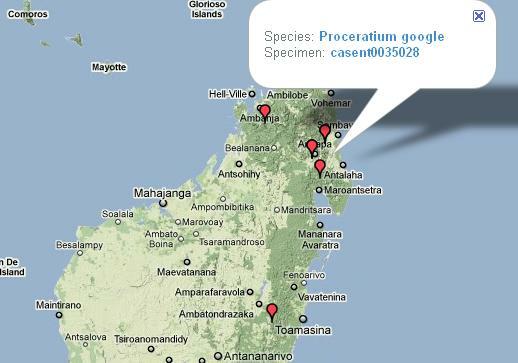 Google have also allowed antweb (run by Mr. Fisher and the California Academy of Science) to create an interface to google earth. 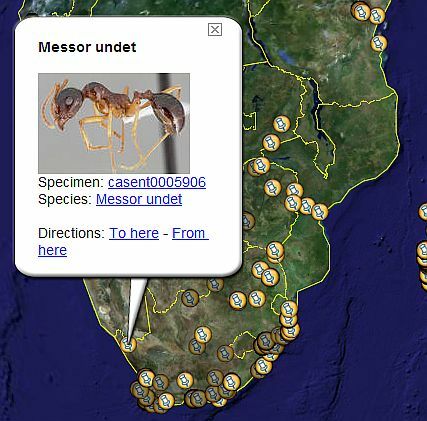 So now using google earth and linking it to the antwebs mappings you can see where different species of ants around the world have habitats!